Author, historian, and Christian apologist Larry Alex Taunton draws on his numerous personal interactions with the New Atheists---and the moving story of a Ukranian orphan---to weave a compelling narrative of the power of Christianity. What does Christianity give us beyond televangelists, potlucks, and bad basketball leagues? Not much, according to the secular Left. The world, they say, would be a better place without it. Historian and Christian apologist Larry Taunton has spent much of his career refuting just this sort of thinking, but when he encounters Sasha, a golden-haired Ukranian orphan girl whose life has been shaped by atheistic theorists, he discovers an unlikely champion for the transforming power of grace. Through the narrative of Sasha’s redemption, we see the false promises of socialism; the soul-destroying influence of unbelief; and how a society cultivates its own demise when it rejects the ultimate source of grace. We see, in short, the kind of world the atheists would give us: a world without Christianity—cold, pitiless, and graceless. And yet, as Sasha shows us, it is a world that is not beyond the healing power of “the grace effect.” Occasionally infuriating, often amusing, but always inspiring, The Grace Effect will have you cheering for the courageous little girl who shamed the academic elitists of our day. "In The Grace Effect-- Larry Taunton's deeply moving and personal story of how his family adopteda Ukranian girl -- we behold the staggering contrast between a culture suffusedwith Christian faith and one that has utterly rejected it. Atheists mustassiduously avoid exposure to stories like this one. If you've ever beenunsure of how much good Christianity does in the world, read this book. 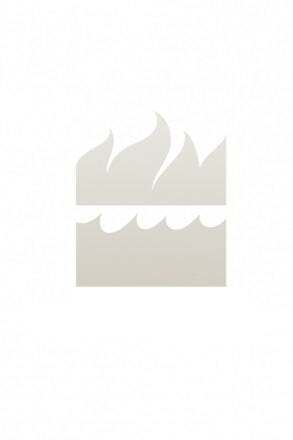 "—Eric Metaxas, New York Times Best-selling author of Bonhoeffer: Pastor, Martyr,Prophet, Spy. Larry Alex Taunton is Founder and Executive Director of Fixed Point Foundation, a nonprofit dedicated to the public defense of the Christian faith. Fixed Point has captured the attention of BBC, NPR, The Wall Street Journal, Fox News Network, The Christian Post, and many others. Taunton has personally engaged some of the most vociferous opponents of Christianity, including Richard Dawkins, Christopher Hitchens, and Peter Singer. He lives in Birmingham, AL.